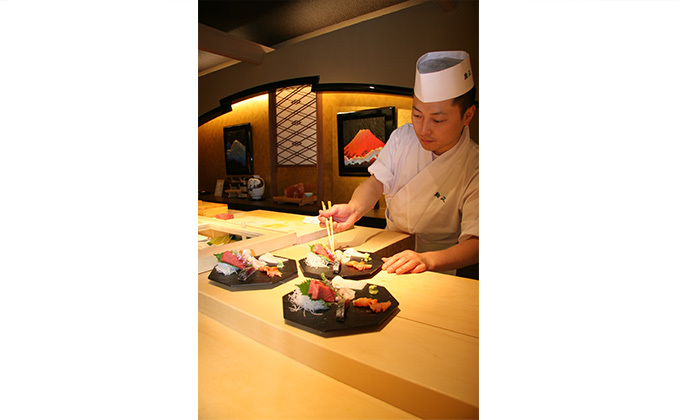 At Ginza Sushimasa, we combine seasonal fresh ingredients and superb sushi to reflect the true skills of our sushi chefs. We have a variety of items on our menu that enable you to enjoy seasonal flavours, including multi-course sets that exhibit the sensitive artistry of Japanese cuisine. 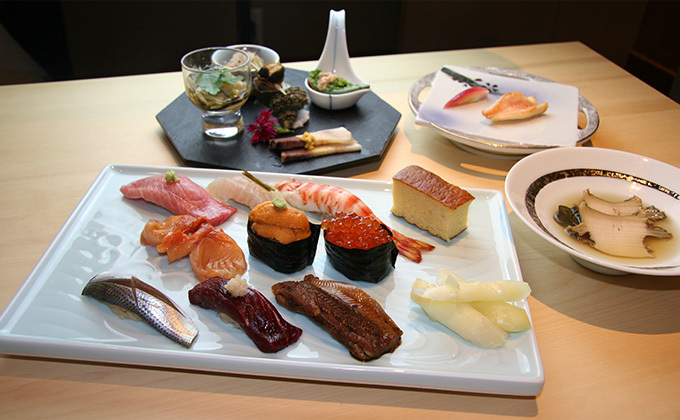 We also provide an ample selection of Japanese sake and wine. 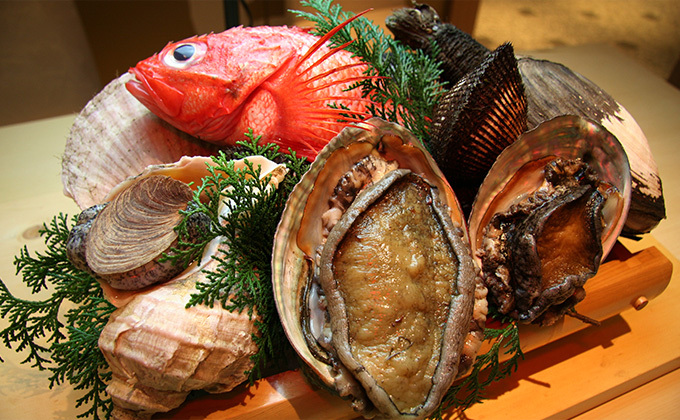 Please enjoy memorable moments with your special people in the relaxing atmosphere of Ginza Sushimasa. We are conveniently located close to Kabukiza Theatre, and only one minute on foot from Higashi-Ginza Station. 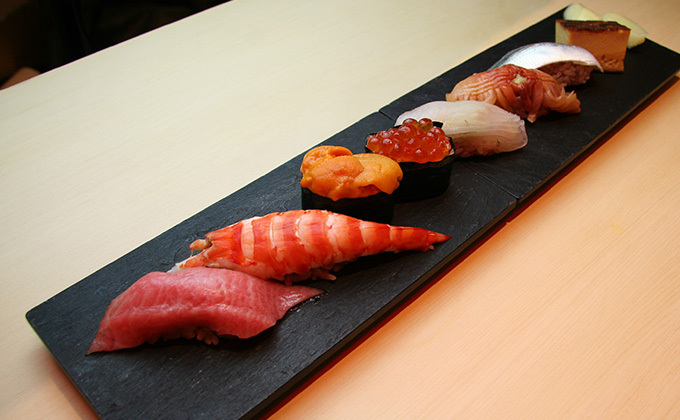 We look forward to welcoming you to Ginza Sushimasa. Smoking is allowed in the designated area around the entrance. Please allow us to add a 10% service charge to your bill at dinnertime.